Well, it’s been a while, but that’s okay. There’s still food and trivia being served all around the world, and now I’m back with you again. LL79 starts this Wednesday, and I’m here to report I’ll be coming to you live covering all the foods we all need to know. Since Season 79 starts Wednesday, I needed to figure out something related to 79. By far, the most famous event of AD 79 was the eruption of Vesuvius, so today’s post is all about foods so hot, it’ll make you think about volcanoes. Enjoy! 1. Well, it’s not actually hot, but is about volcanoes. Coffee that is grown and cultivated on the slopes of the active volcanoes Hualalai and Mauna Loa in Hawai’i is the only type that is allowed be labeled as what kind of coffee, named after the district that surrounds this area? 2. In September 2017, Ed Currie, the South Carolinian who created the Carolina Reaper pepper, created a new pepper that measures 3.1 million on the Scoville, making it the new world’s hottest. This pepper’s name is “Pepper” followed by what letter? 3. What is the traditional meat of vindaloo, as any restaurant on the Indian costal region of Goa would include in their recipe? 4. What title ingredient is missing from the holiday drink seen here with the following ingredients: Rum, hot water or hot cider, sweetener, and spices? The drink shown here also has whipped cream and a garnish. 5. In Japan, what foodstuff is known as “Western Wasabi”? 6. In the Sichuan region of China, known for its spicy cuisine, features a popular form of cooking with what rhyming name, where meats and vegetables are added to a container of soup stock, and cooked at the table? 7. 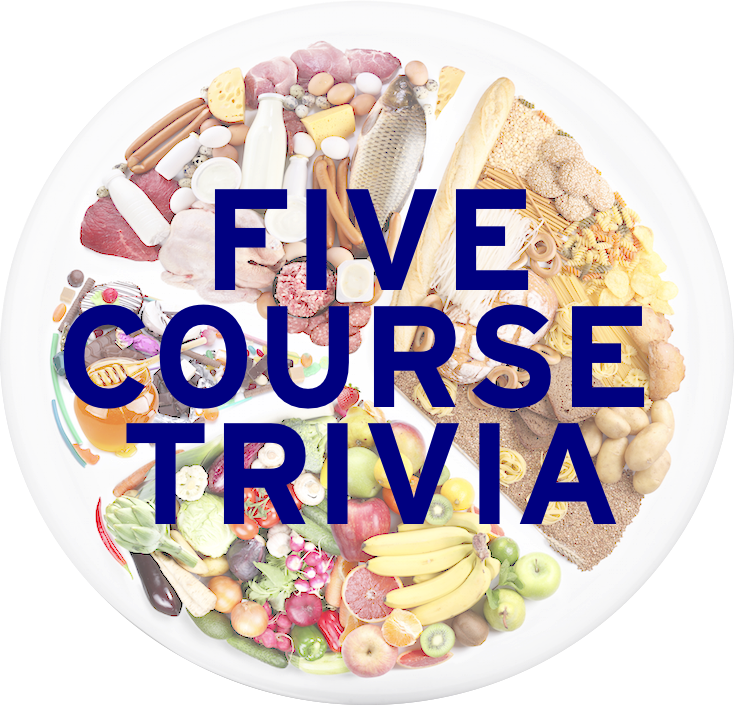 What foodstuff is named after a town of about 19,000 people located on the eastern shore of the Gulf of Thailand? 8. Popular in Senegal and other parts of west Africa, the stew Maafe is a chicken or lamb stew braised in what type of sauce? 9. Complete this four part analogy. Mild : Light orange :: Hot : Dark orange :: Fire : Red :: ___ : Black. 10. The fruit known as Pomodorino del Piennolo del Vesuvio grows on the slopes of Mt. Vesuvius. What two-word food is the translation of “pomodorino”?